The most popular gift for Brides Maids is...jewelry! From Top 10 Bridesmaids Gifts "The great thing about jewelry is your bridesmaids can wear it on the wedding day to add that additional touch. I would recommend choosing something that works well with the bridesmaid dresses but also something that they can wear again." If you're an off beat, rocker chick, or alternative bride, you might be looking for something unique as a brides maid gift. Personalized jewelry to go with the dress, earrings for “pops of color” are a good way to go. To personalize this gift, give each girl a different piece from the same collection. Something cute for the flower girl, and something special for the maid of honor. 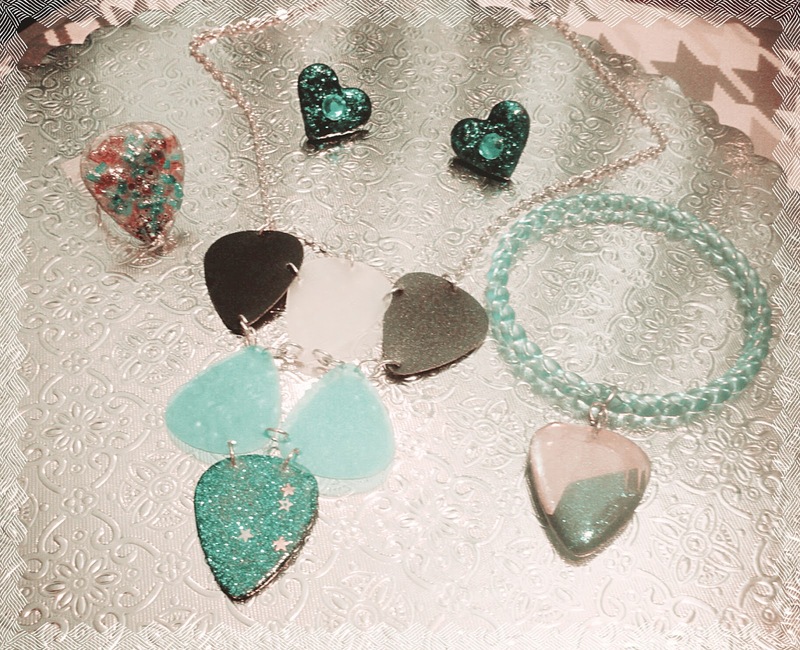 Above is a curated matching set of teal guitar pick and vinyl jewelry. Jewelry can be made to order in any color and varying styles.